I’ve been on the look out for a new handset for some time now. The one I’m using presently, the Nokia N70 seems to be giving way after superb service over the past 3-4 years. This was a phone that seemed to hit the sweet spot in terms of price and functionality and I’ve not really come across another piece that seemed just right to me. HTC had some that were ok, and till now, I’d not really considered the Apple iPhone or any Blackberry, but am now seriously awaiting the Blackberry Bold 9700, due in November !! The BlackBerry Bold 9700 builds on the success of the original BlackBerry Bold with new, state-of-the-art features and a smaller, lighter and highly optimized design that looks, feels and performs great. Another enhancement is a 3.2 MP camera with auto focus, image stabilization, flash and 2X digital zoom, which is capable of videos at 480 x 352 pixels in normal mode and 176 x 144 pixels in MMS mode. 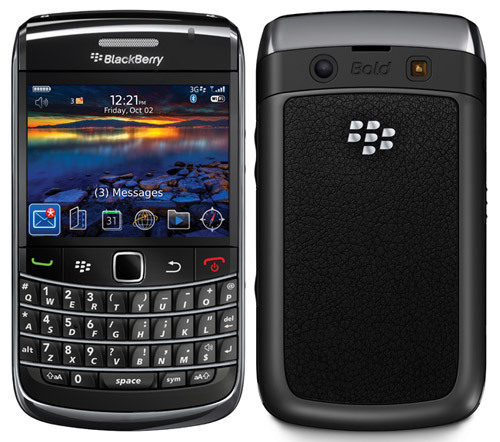 It is more sleek and lighter than it’s predecessor, the very popular Blackberry Bold 9000. You can also compare it to other Blackberry smartphones.